A whole new version of the Internet is about to take over. 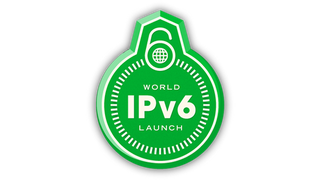 Internet Protocol version 6 is here to save us from the dwindling number of IPv4 addresses. If everything seems the same as before, rejoice!. That means everything went to plan. The IPv6 transition is necessary because we've nearly run out of the 4.3 billion IP addresses possible within the IPv4 system—you know that 192.168.1.1 number your router is always yammering on and on about. The new iPv6 system supports up to 32 digits and allows for up to 340 trillion trillion trillion (WHEW!) combination.